We provide consulting and implementation guidance for the AS9100, AS9110, AS9120 Aerospace Quality Management Systems (AQMS) designed for Aerospace. The standard AS9100 includes ISO 9001 quality management system requirements and specifies additional requirements for a quality management system for the aerospace industry. The additional aerospace requirements emphasize that the quality management system requirements specified in this standard AS9100 are complementary (not alternative) to contractual and applicable law and regulatory requirements. Click here to learn more about our AS9100 Requirements and Implementation Guide Kit or call us to learn more about our AS9100 Professional Services. 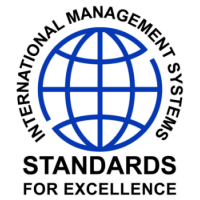 This International Standard AS9100 specifies requirements for a quality management system where an organization a) needs to demonstrate its ability to consistently provide product that meets customer and applicable regulatory requirements, and b) aims to enhance customer satisfaction through the effective application of the system, including processes for continual improvement of the system and the assurance of conformity to customer and applicable regulatory requirements. The AS9100 standard was revised to incorporate the new clause structure and content of ISO 9001:2015. In addition, industry requirements, definitions, and notes have been revised in response to both ISO 9001 revisions and stakeholder needs. To assure customer satisfaction, aviation, space, and defense organizations must provide, and continually improve, safe and reliable products and services that meet or exceed customer and applicable statutory and regulatory requirements. The globalization of the industry and the resulting diversity of regional and national requirements and expectations have complicated this objective. Organizations have the challenge of purchasing products and services from external providers throughout the world and at all levels of the supply chain. 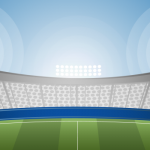 External providers have the challenge of delivering products and services to multiple customers having varying quality requirements and expectations. Industry has established the International Aerospace Quality Group (IAQG), with representatives from aviation, space, and defense companies in the Americas, Asia/Pacific, and Europe, to implement initiatives that make significant improvements in quality and reductions in cost throughout the value stream. This standard has been prepared by the IAQG. The AS9100 Standard document standardizes quality management system requirements to the greatest extent possible and can be used at all levels of the supply chain by organizations around the world. Its use should result in improved quality, cost, and delivery performance through the reduction or elimination of organization-unique requirements, effective implementation of the quality management system, and wider application of good practice. 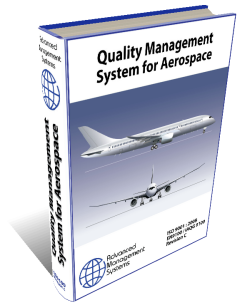 While primarily developed for the aviation, space, and defense industry, AS9100 can also be used in other industry sectors when a quality management system with additional requirements over an ISO 9001 system is needed. This standard includes ISO 9001:2015 quality management system requirements and specifies additional aviation, space, and defense industry requirements, definitions, and notes as shown in bold, italic text. This standard is intended for use by organizations that design, develop, or provide aviation, space, and defense products and services; and by organizations providing post-delivery activities, including the provision of maintenance, spare parts, or materials for their own products and services. Organizations whose products are deliverable software, or contain deliverable software, should use the IAQG-developed 9115 standard (see Bibliography) when planning and evaluating the software design, development, or management activities of the organization. The 9115 standard provides guidance to the requirements of the 9100 standard when it is desired to add “software” to the 9100 quality management system scope. Organizations whose primary business is providing maintenance or continuing airworthiness management services for civil or military aviation articles and products; and original equipment manufacturers with maintenance, repair, and overhaul operations that are operated autonomously, or that are substantially different from their production operations; should use the IAQG-developed 9110 standard (see Bibliography). Organizations that procure parts, materials, and assemblies and resells these products to a customer in the aviation, space, and defense industry should use the IAQG-developed 9120 standard. This includes organizations that procure products and split them into smaller quantities, as well as those that coordinate a customer or regulatory controlled process on the product.